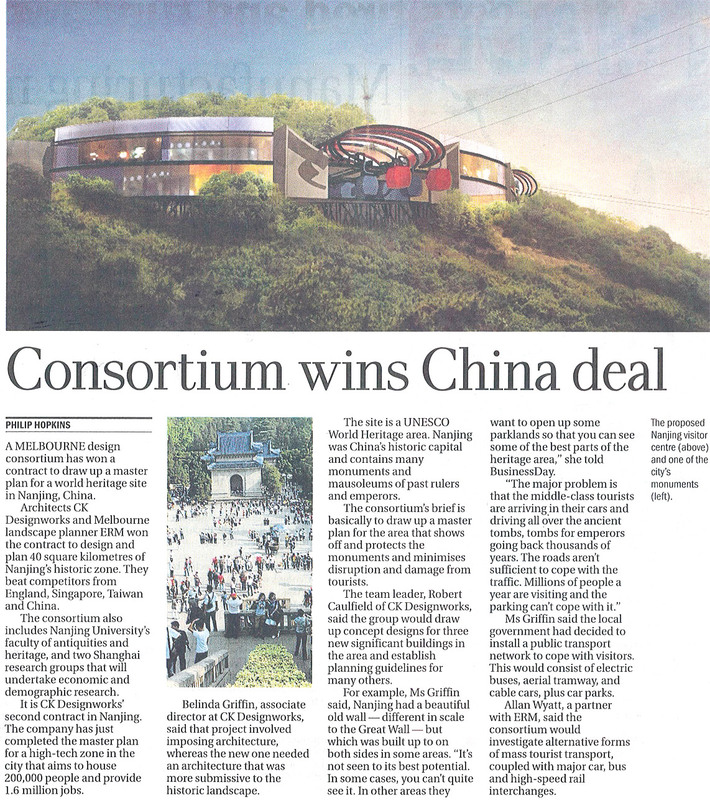 CK Designworks’ concept design for the world heritage site in Nanjing, China featured in the AGE on August 2011. Together with ERM they will undertake the planning of a 40 square km historic zone listed by UNESCO. Including landscape, transport infrastructure and three significant buildings. The article outlines the company’s success to provide creative solutions to protect the ancient locality from the growing tourist industry.